Close-up photo exaggerates the size. These measure slightly more than 1/2 inch (16mm) in diameter. Color-coded diagrams and step-by-step text instructions for making a stripey bead. 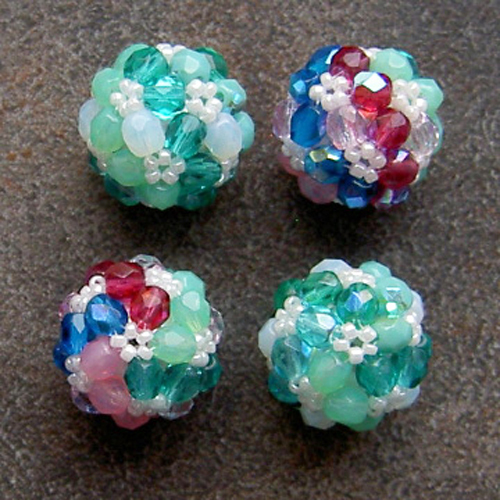 The construction method for this bead allows it to self-support when made with Czech 4mm firepolished crystals and small seed beads. Instructions for tying a concealed knot are also included.